Giving back has always been one of my passions. When I get to combine that with other interests like fashion and shopping, it makes it so much better. I'm excited to be partnering with Wardrobe Boutique this year and will be sharing my adventures right here on the blog. Wardrobe Boutique is a Philly resale store which supports the non-profit Career Wardrobe! Check out this post to learn more about these organizations! One of the the Wardrobe Boutique's more popular events is coming up soon. 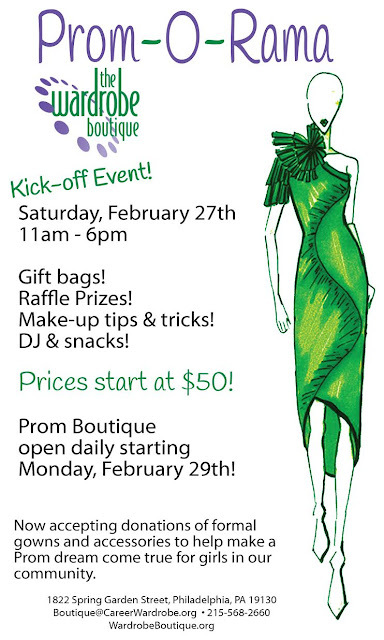 Prom-O-Rama is this Saturday, and the Boutique staff have a fun afternoon planned! Guilt-free shopping that supports a great cause! Over 150 new and gently used prom dresses that are ready to be purchased! The first 20 purchases receive a complimentary gift bag filled with goodies like jewelry and a tuxedo rental coupon! Don't need a prom dress? You can still help! Let your friends and family know about this great event. Prom dresses will be sold for the next few weeks. 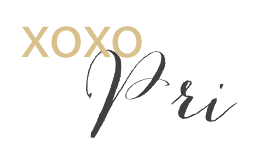 Donate your new or gently used prom dresses! 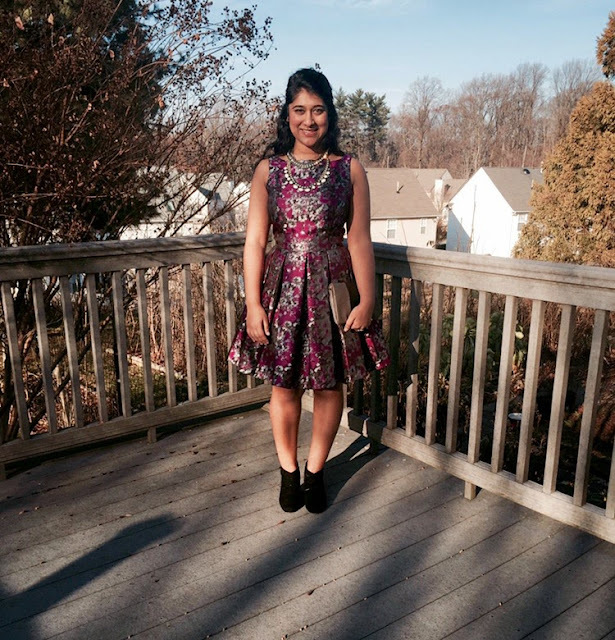 Donate here to the Dream Prom Crowdrise campaign. For every $1000 raised, 5 ladies will receive their dress for no cost. If they raise $5000, Career Wardrobe will donate 5 Dream Packages which includes dress, hair, nails and transportation! Prom was a few years ago for me, but I'm lucky enough to attend functions where I get to wear beautiful dresses. Here is one of my favorite dresses that I scored from Wardrobe Boutique! So if there is no one in your life needing a prom dress, it's an opportunity to treat yourself to a beautiful guilt free purchase! If you check out Wardrobe Boutique, let me know what you find!